Fast delivery. My friends are very happy to receive this gift. I will buy next time. product was delivered on time and it is in good condition with remarkably performance as reviews on the web say so. My girlfriend is in love with it and it really improves her hair quality. Tangle Angel Brush likes as princess brush,your hair changes to be smooth after you use it.However,I think the comb teeth are not deep enough. I am so happy to shop online with free international shipping charge and the brush is very good no matter the look and its function. I love my new hair brush. I love the fact that i can brush my hair while its wet. I love how my hair is soft after it has dried. And even the day after, that i wash it, and i brush my hair, it is left soft. I haven't brushed my hair with a blow dryer, yet. Though, i can say is it has delicate bristles. It is amazing and pretty. Really good for ladies. I feel very comfortable using this comb. It's beautiful and will help you to maintain your hair in good look. Less hair fall when using this one. I like it and will recommend to my friend. 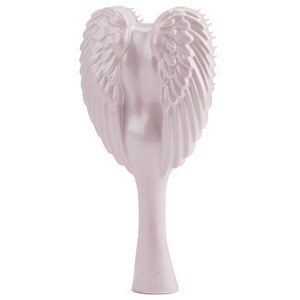 I love the tangle angel brush, it is an amazing products. I have bought 6 for my whole family, we all love it. I would like to recomend to everyone!